After the release of their 2009 debut album, Post Nothing, Japandroids duo Brian King and David Prowse almost called it quits on several occasions. With the reality of touring and the grueling cycle of promoting sinking in, the band realized that their dream of being in a band was a lot different than they imagined. “The battle between it being a dream and how hard it is to sustain the dream continuously and indefinitely,” Brian described in a recent interview with Pitchfork, “…it’s hard on the body.” Deciding to forge ahead rather than end it all, though, the band recorded their new album, Celebration Rock, at the end of 2011. 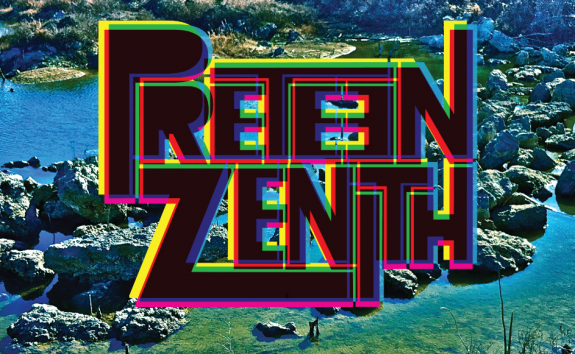 It’s a fast, energetic album that is the best thing the band has ever done, and may even go on to being one of the best records released this year. Japandroids’ songs have always been an energetic embrace of living in the moment mixed with the threat of experiencing a total existential crisis. While the latter half of that equation never threatens to derail the power and overall fun that each track has, it keeps them grounded. 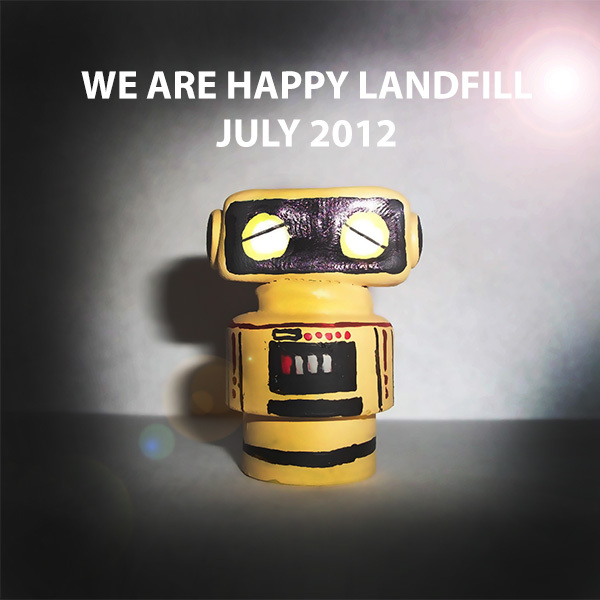 The album is only eight songs long and lasts little over half an hour, but there’s not a second wasted on it. Just like the feelings of youth the band emulates, the music is gone before you realize it’s over. Highlights include “Younger Us,” an insanely catchy tune that doubles as the most gloriously emo they’ve ever been, and “The House That Heaven Built,” which is by far the most epic thing they’ve ever done. All in all, though, the highlights aren’t distinguishable in their quality from the rest of the album because the rest of the album is just that good. Most of the songwriting on Celebration Rock is pretty straightforward with each song sticking to only a few chords. Like a lot of two man duos in rock, simplicity is their strength. While there are a lot of artists out there now whose processes are appealing because they’re a mystery, Japandroids’ processes for writing music are appealing because they’re not. 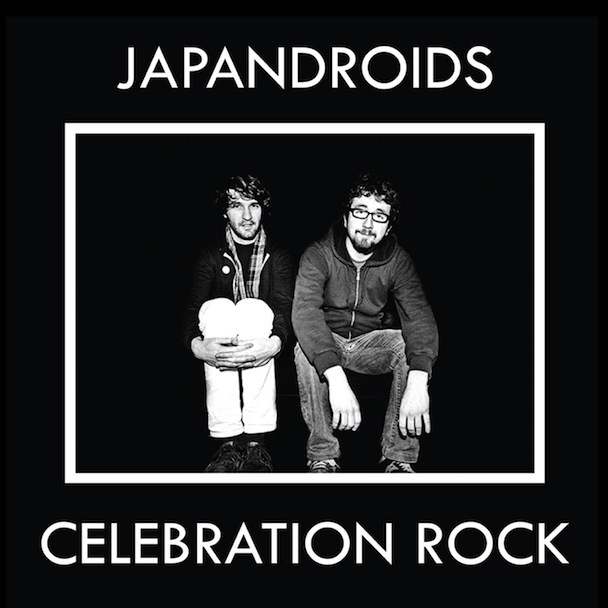 Japandroids are two averagely skilled friends who grinded away until they were great enough to make something happen only to talk about how fleeting moments where something happens are. “There’s a difference between people who are born with that special thing and people who love the people who are born with that special thing so much that they want to try their best to get as close as they can to it,” Brian told Pitchfork, describing himself as the second type. This is why Celebration Rock is an incredibly human record, and one of the best releases this year. It’s from a group of averagely skilled guys that faced the grind over and over until they made something amazing only to realize they may never make something amazing again. And it’s that kind of uncertainty in the future with a glorious celebration of the present that defines the only things we can have in life. Ryan Gosling, the actor known for his lead in last year’s “Drive” and the popular movie “The Notebook” (that was responsible for establishing 99.9% of his largely female fanbase of fourteen year olds and middle aged ladies), has hit the music scene with Dead Man’s Bones, formed with friend Zach Shields. Meeting each other through Gosling’s girlfriend at the time, Rachael McAdams, Gosling and Shields eventually discovered they had a shared fear of ghosts and paranormal activity. Rather than shirking away from their supernatural fears, though, the duo decided to use their fixation on the dead to start a band and craft a modern monster musical (aliteration!). Like Russel Crowe, the vanity projects of Scarlett Johansson, and whatever crappy band Billy Bob Thornton is in – the music releases of notable Hollywood Actors are generally marked with an air of delusion, ingenuity, pretension, and a noticeable lack in quality. This doesn’t seem to be the case here, though, as the band (maintaining a largely low profile) has decided to forfeit slick production sounds in favor of a lo-fi quality that gives the record a homely, intimate feel. Releasing a record focused on zombies and ghosts right before Halloween is a clearly calculated move, but the holiday never bleeds into the music beyond general thematic ideas of what Halloween is about on a surface level (spooky stuff). And so, what could have been a gimmick of Monster Mash style music never comes close as a reality. In fact, darker tracks like “Buried and Water” and “Lose Your Soul” would probably scare the crap out of Count Chocula. The children’s choir, really used in full, works to great benefit for the group. Having a bunch of kids sing “my body’s a zombie for you” and other dark, suggestive lyrics might seem a little weird at first, but in a post-MacKenzie Phillips world-it’s not really that shocking. 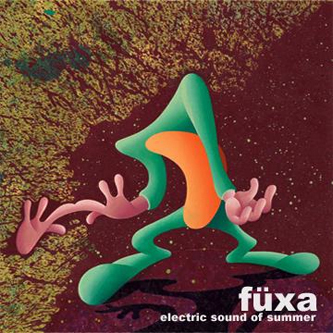 The only weak track, “Pa Pa Power,” is a fine song but it doesn’t really fit in lyrically or musically with the rest of the album. 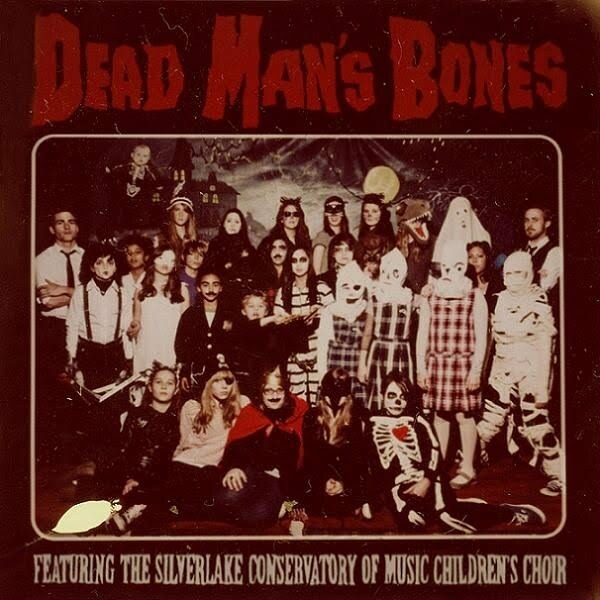 In all, Dead Man’s Bones is a great album that demonstrates a real knack for song writing and performance that is sure to rock out the vans of middle aged ladies (fully decked out with the “coexist” sticker) and the iPods of their trendy fourteen year old daughters long after Halloween has passed. Summer music is some of my favorite kind of music. It’s fun, relaxed, warm, and reflective. 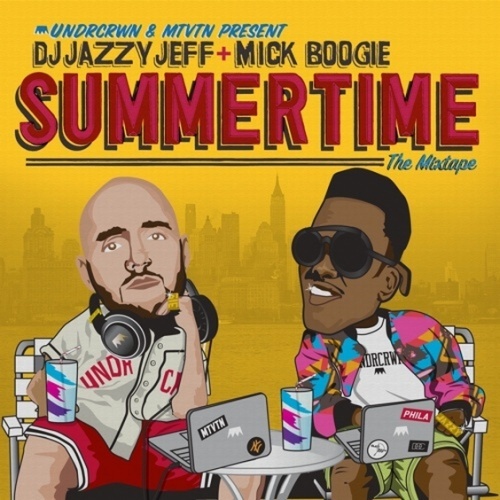 DJ Jazzy Jeff and Mick Boogie put out the first of their Summertime Mixtape series a few years ago full of old school hip hop and summertime classics, and they’ve been putting out a new one each year since. While I can’t vouch for Volume 2 & 3 (I haven’t listened to them that much), Volume 1 is a mix that still gets played in my household regularly. You can stream/download them all for free below. DO IT. While it came out over a year ago, Explosion in the Sky’s video for their track “Last Known Surroundings” off their 2011 album Take Care, Take Care, Take Care, is one of the few music videos that can match up to the sonic grandiosity of the track its promoting. Made by the folks at the Austin-based design company, Ptarmak, it’s definitely worth checking out if you missed it before.